So when I do these things, I check the internet for detail reference. 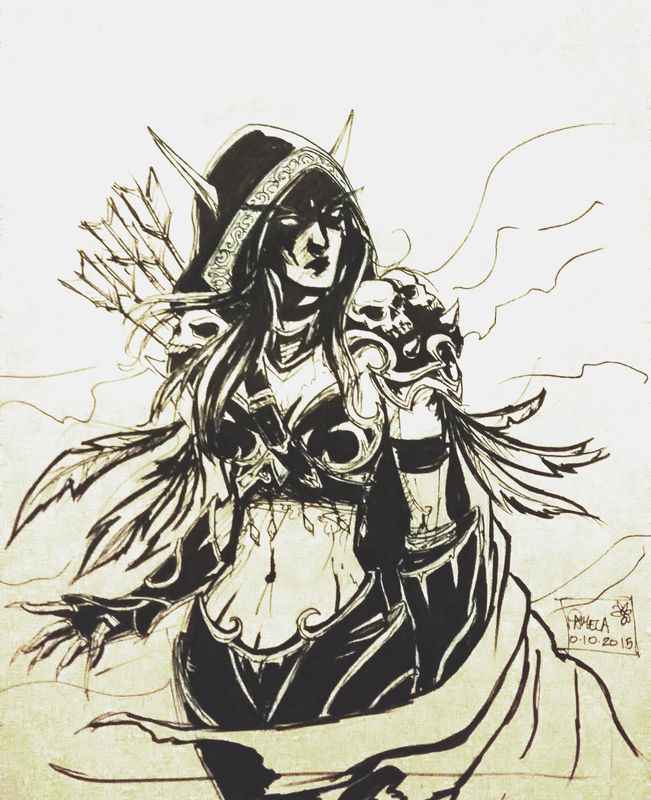 And while researching Sylvanas, I’d start reading more into World of Warcraft. My brain kicks in to “I kind of want to play again” mode, like it does every so often. The portrait of an MMO addict isn’t as fun as it sounds. When I was playing regularly, I lost sleep, I thought about WoW every waking moment, when I wasn’t playing I’d get a bit angsty. And being in a raiding guild that raided nightly for epic armour that I can’t really do anything with the the real world, and treating this like a second job, it was getting ridiculous. So in 2008, I quit. But the game went on without me. Cataclysm was released, and then Mists of Pandaria. Last year, Warlords of Draenor came out. And World of Warcraft still has millions of subscribers as other “WoW Killers” have come and went. The fangirl in me and my “adult” self had a conversation and I think I lost. For a Warcraft fan, that movie looks nuts! I can’t wait to see it. Coming back to the game was kind of a decision that rolled in from months of “kind of wanting to play again”. It was weird. The game was still the game, but because of the ongoing Warcraft story, changes to classes and game play mechanics, it felt weird and foreign. I was actually playing as a NOOB. My restoration/balance druid is currently now at Level 87, and when she hits 90, I’ll do the same for my warrior, and then I will check out what Warlords of Draenor has to offer from 90-100.